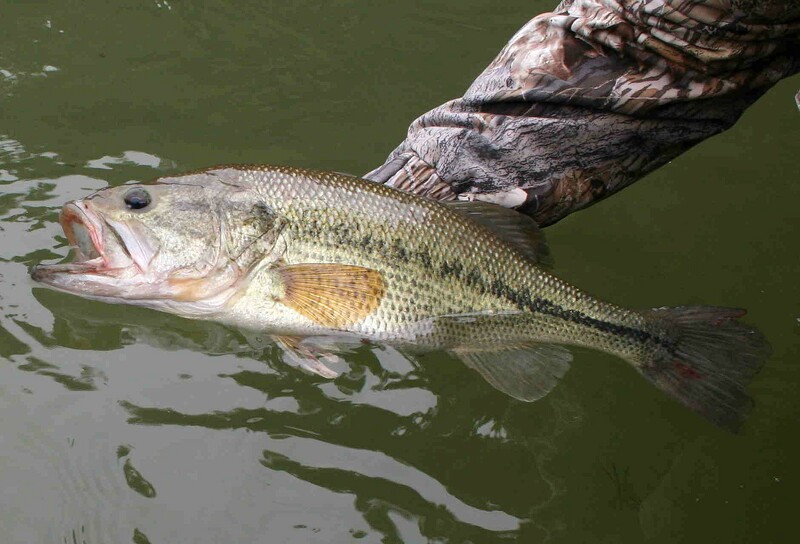 Largemouth bass receive tremendous fishing pressure in most waters. 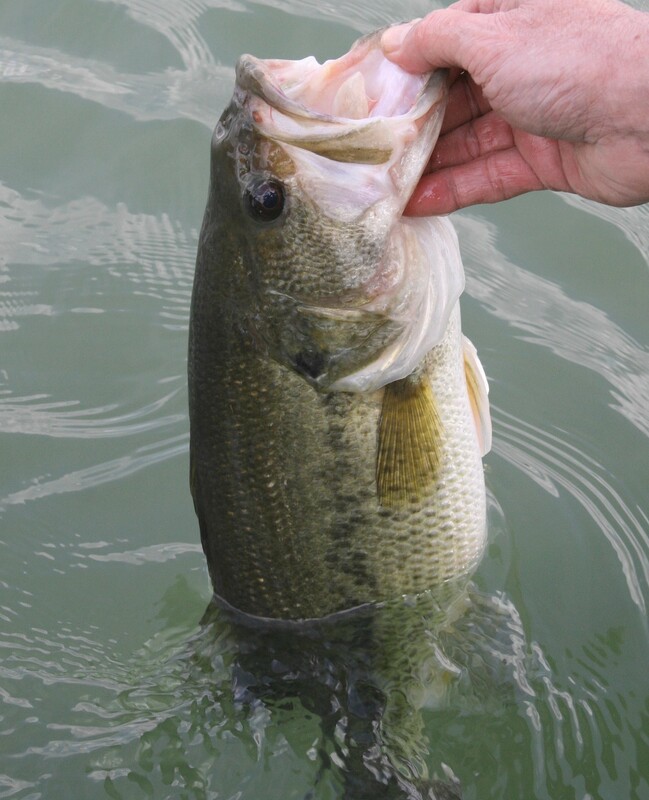 Handle them carefully and release them quickly to help preserve good fishing. A photo from my archives. 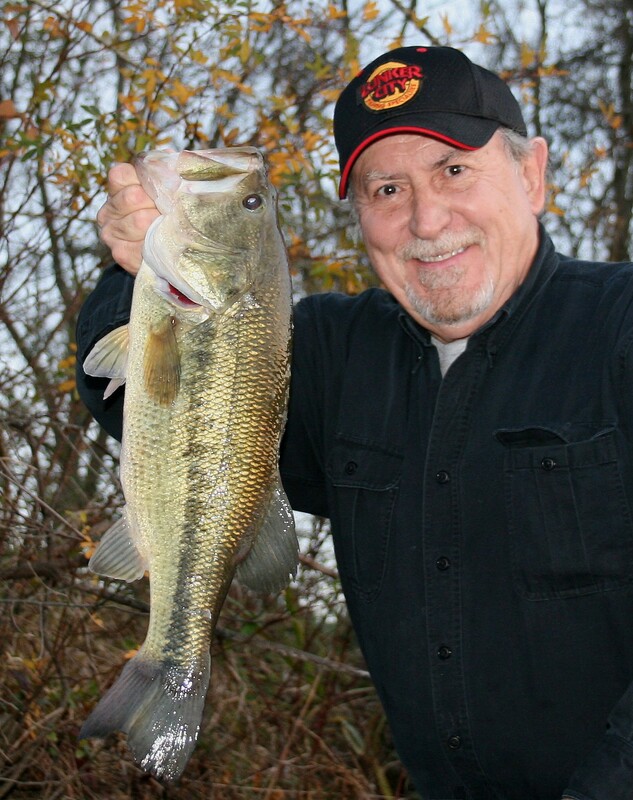 I’ve used a jig and pig to catch quality-size largemouth bass throughout the cold-water period for many years. 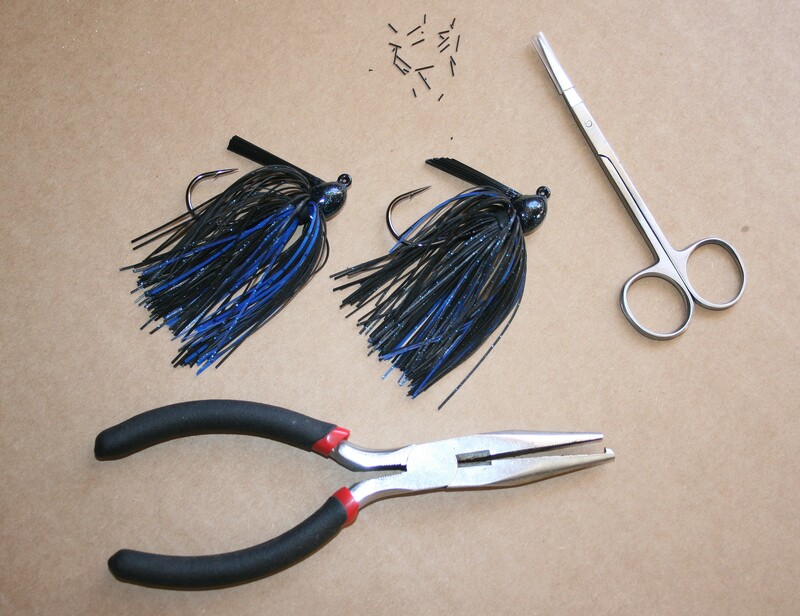 I always modify rubber-skirted jigs before use. I open the gap of each hook slightly with pliers, then trim the fiber weedguards at an angle. Spread the weedguards to increase protection of hook points, add pork trailers and they’re ready for use. 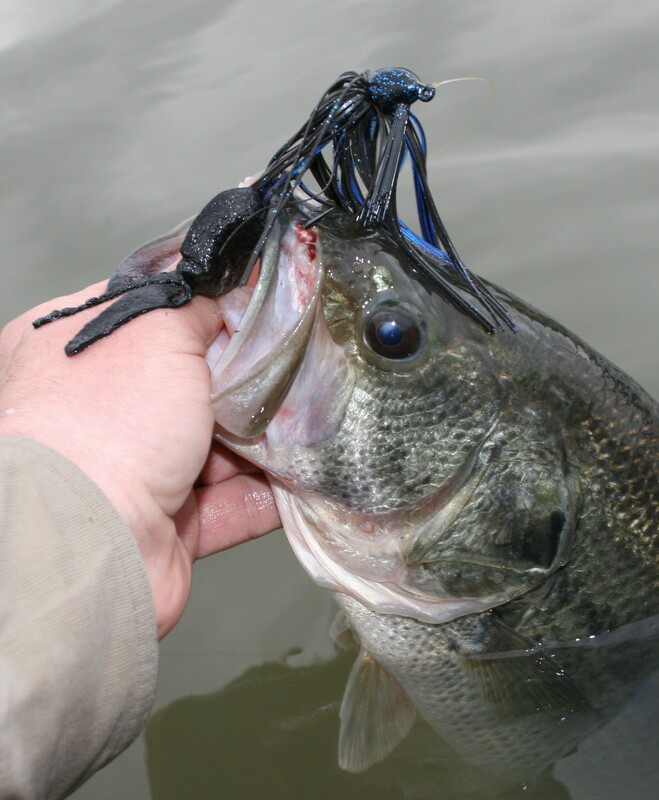 Fluorescent fishing lines are must-have equipment for jig and pig fishing because you must be able to see line movement to detect strikes. 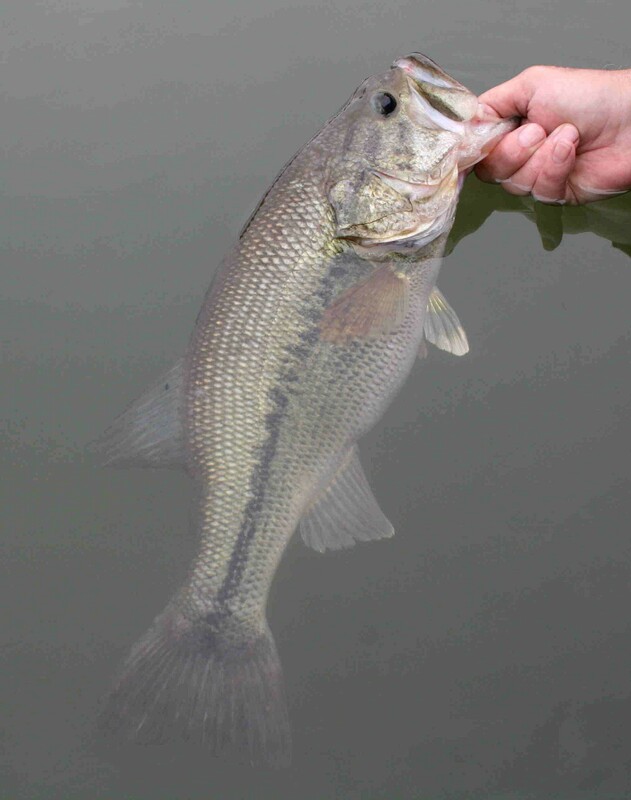 My largest bass of the day was a healthy, beautifully-marked fish that weighed four-pounds, thirteen-ounces. 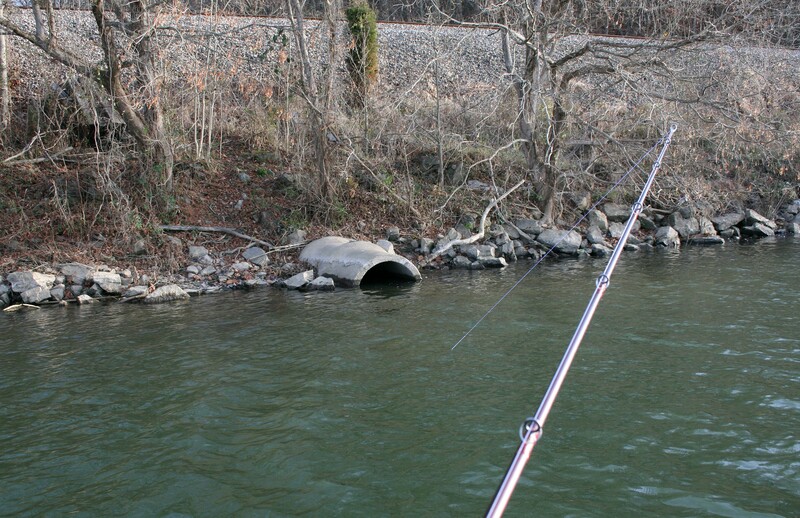 Riprap along shorelines that drop into river channels often attracts bass in cold water. 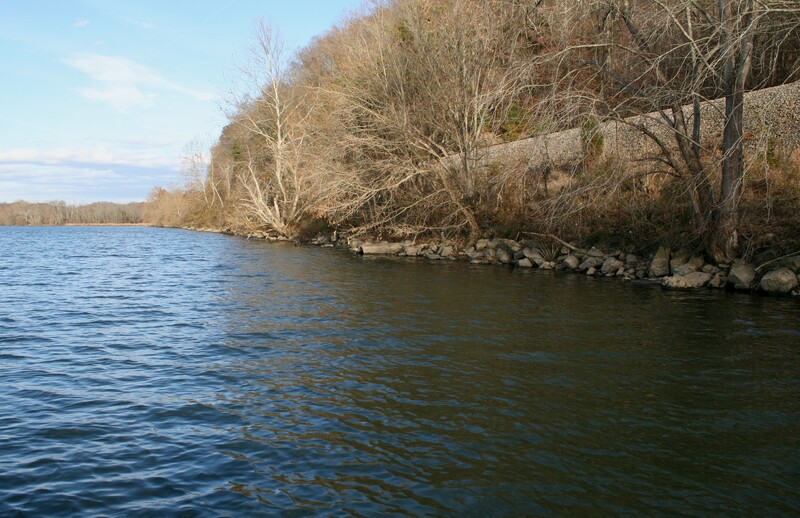 Check where the channel first contacts the riprap and where it first moves away.